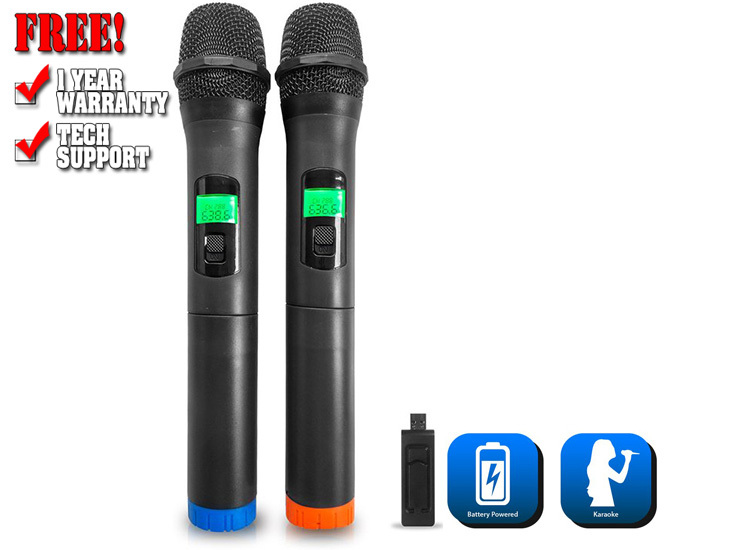 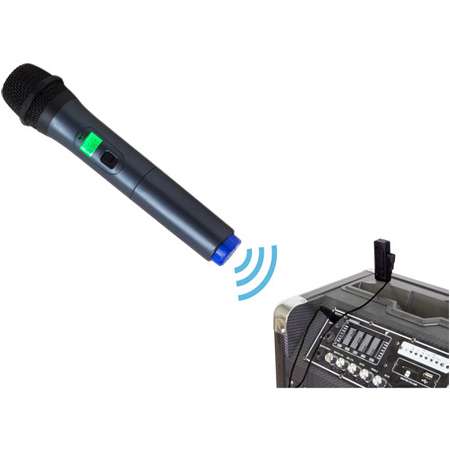 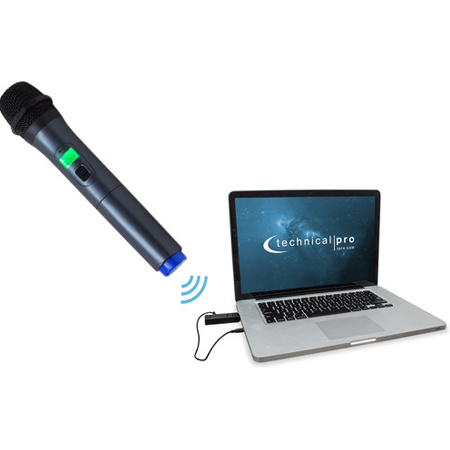 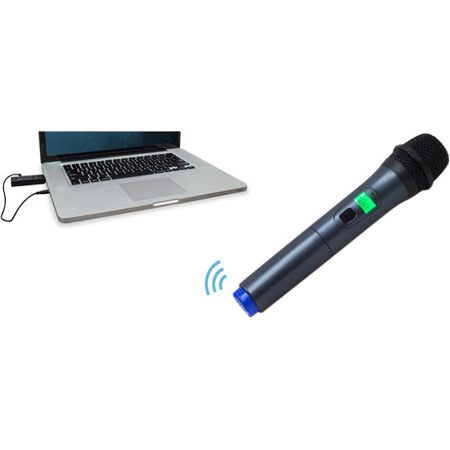 The WMU99-2 Wireless Dual Handheld UHF Mic with USB Powered Receiver from Technical Pro is a UHF microphone system that plugs into any standard USB power port. 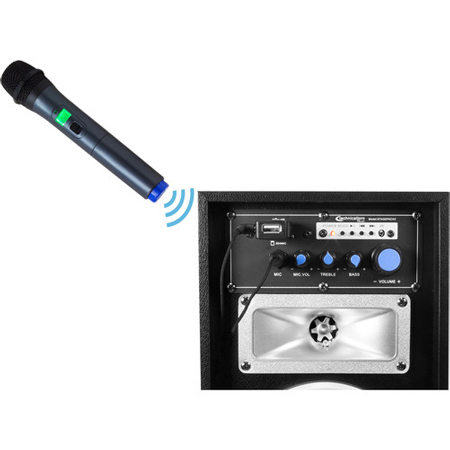 It can be used as an addition to any single unit speaker system with a USB input, a standard 1/4" microphone input, or a 1/8" connection to computers and other devices. 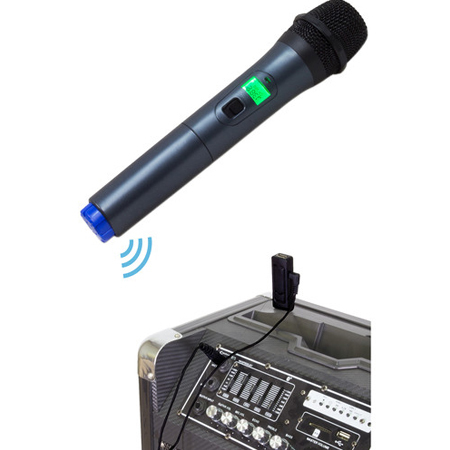 The WMU99 has a wireless range of 150'. 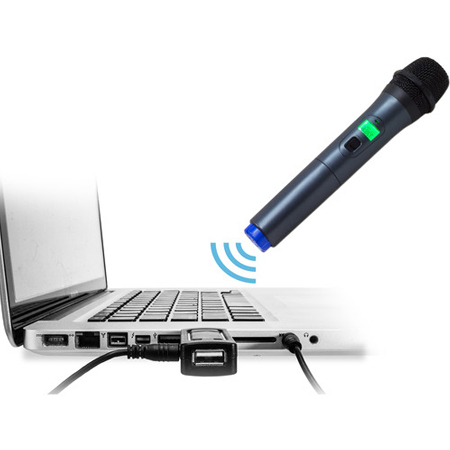 Its USB receiver features a female USB input port that enables you to connect multiple devices to the same USB input port. 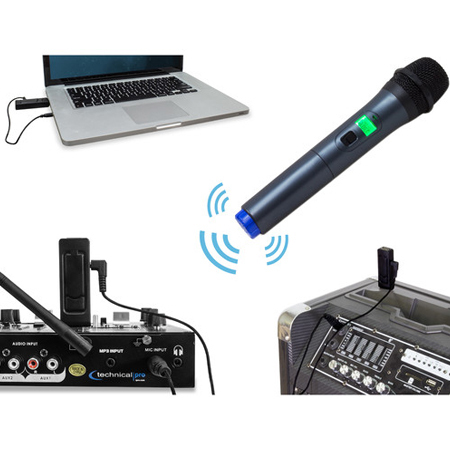 It weighs in at just under two pounds and works well with various portable setups. 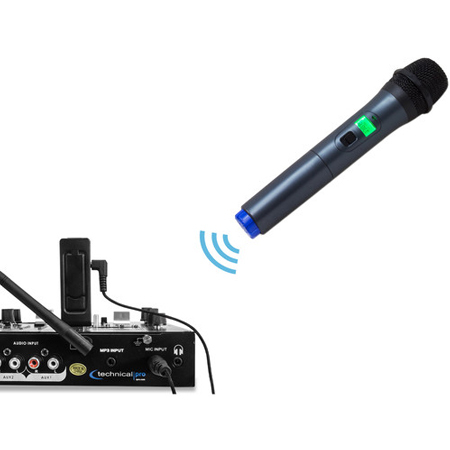 It also includes a 1/8 to 1/8" cable and a 1/8 to 1/4" cable.